Innovative Solutions Canada | Technology Grants | Mentor Works Ltd. Innovative Solutions Canada is an initiative that provides government grants and procurement contracts to stimulate technology research, development, and commercialization. The program helps startups and small/medium-sized businesses (SMEs) overcome technology development hurdles so that they can produce globally-demanded products and services, while also improving government operations. SMEs may receive up to $150,000 for proof of concept projects, up to $1 million for prototype development, and may also be awarded a government contract to support the innovation’s first-purchase. Innovators can apply for current innovation ‘challenges’ through an online portal. Upon being reviewed, competitive applications are called forward to the proof of concept phase and may receive grants to offset project-related expenses. Program Overview: What is Innovative Solutions Canada? 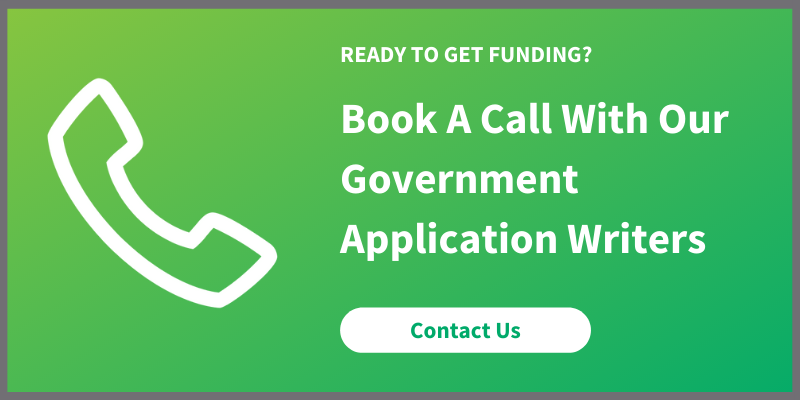 Innovative Solutions Canada is a federal procurement and grant funding program established to provide a portion of government budgets for the purchase of domestic goods and services. Each of the 20 participating federal departments have allocated 1% of their annual budgets to support the program; this pool of funds will support a call for innovations through departmental ‘challenges’. Challenges are requests for solutions where the Canadian government needs access to technologies not yet commercially-available and must therefore be developed. Note on Intellectual Property (IP): All IP related to the project is retained by the business. Contract negotiations may include the negotiation of IP rights, but companies are never required to surrender IP. Proof of Concept: Proving scientific and technical feasibility, and commercial potential, of an idea that addresses a public-sector challenge. Eligible applicants may receive up to $150,000 in Canadian government grants to offset up to six months of project expenses. Prototype Development: Developing a prototype based on the proof of concept in Phase 1. Eligible applicants may receive up to $1 million in Canadian government grants to offset up to two years of project expenses. Pathway to Commercialization: Should a Phase 2 prototype suit the needs of a government department, they may procure it from a business and become the innovation’s first purchase. There is no maximum to the amount of funds awarded through these contracts. Have 50% or more of its senior executives (Vice President and above) with their principal residence in Canada. Want to learn more about the Innovative Solutions Canada program? Use the resource(s) below to discover more helpful Canadian government funding resources. Open Departmental Innovation Challenges: Want to discover government challenges that your business can develop innovations for? Explore open challenges here. Technology Readiness Levels: Many government funding programs speak about technology readiness levels. Learn what they are and where your innovation fits. When ready to apply, SMEs can create an online profile and submit a proposal for one of the program’s open innovation challenges. Proposals must demonstrate that businesses have the capacity and capability to complete a project. Challenges change frequently; companies should continuously check open challenges to ensure that they submit a proposal to applicable opportunities. To discuss whether your organization is a good fit for the Innovative Solutions Canada program and learn how to optimize the application process, please contact Mentor Works. Posted: December 19, 2017. Updated: April 17, 2019.